There are some days on which the towering talent that is PV Sindhu plays such exquisite badminton that it is irresistible. 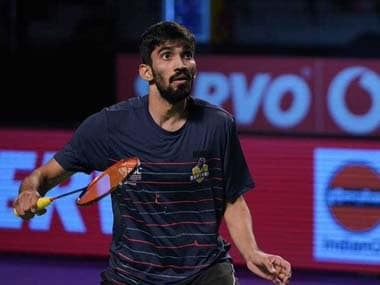 Saturday was one of those occasions on which the lanky Indian produced a virtuoso performance to leave former world champion, Ratchanok Intanon of Thailand, shellshocked and at the receiving end of a 48-minute 21-13, 21-15 demolition in the semi-finals of the India Open World Tour badminton championships. Wildly cheering Indian supporters thronging the Siri Fort Indoor Stadium in New Delhi were treated to a high-quality, fast-paced battle of two 22-year-olds, in which the speed, power and aggression of Sindhu emerged trumps against the dancing footwork and deceptive strokeplay of the Thai, who had won the world championship as an 18-year-old in 2013. Indeed, the one-sided scoreline is deceptive, for the match was fought essentially on an even keel, and with lengthy, probing rallies, particularly in the second game. It became apparent, from the first few points of the match that Sindhu had come with a plan of embracing all-out aggression, and not allowing Intanon to settle into any sort of rhythm. From a 1-3 early deficit, the Indian reeled off a dozen points without reply, to virtually seal the opening game. The Thai girl gradually got back into the flow of the match, but that 13-3 lead was too much for her to make up, or entertain any thoughts of reeling her opponent in. For most of the second stanza, there was very little to separate the two, but Sindhu went into the lemon break with an 11-7 advantage. As the Indian’s smashing power reduced in the face of the lengthy, energy-sapping rallies, Intanon hauled in the slack, and came up to 13-14, and then 14-16. This was where Sindhu’s superior fitness weighed in the balance, as she raised the pace a notch, went for broke, and wrapped up the duel with five of the final six points. It is significant to report that, even after her storming win on Saturday, Sindhu continues to trail Intanon 3-4 in career head-to-heads, but that she has won both their last two encounters over the past three months in straight games. The Hyderabadi had beaten the Thai girl by a 21-17, 21-17 scoreline when the two had last bumped into each other at the Hong Kong Open in November 2017, before losing the final to her nemesis, Tai Tzu Ying of Chinese Taipei. In Sunday’s final, the Indian will cross swords with Chinese-born American, Beiwen Zhang, whose steadiness enabled her to pip Hong Kong’s Cheung Ngan Yi by a 14-21, 21-12, 21-19 verdict in just over an hour. Actually, Zhang should have won more easily, for she had a handy 13-6 lead in the decider. But the 24-year-old Hong Kong girl dug deep, and pulled back from 16-20 down to within a point of restoring parity, only to be caught back-pedalling after being deceived by a late wristy backhand net shot by the Chinese-American. Sindhu will need to be watchful against Zhang for, although she leads their head-to-head 2-1, she has lost to the World No 11 in three games on the last occasion that the two met — at the Indonesia Open in June 2017. The problem, for Sindhu, has been consistency, for she is capable of producing a world-beating performance on one day, and lapse into prodigality the very next. As for the men’s singles, the dream run of Malaysia’s Iskandar Zulkarnain Zainuddin finally came to an end when he was knocked out by the No 4 seed from China, Shi Yuqi, at 18-21, 21-10, 21-19 in a 69-minute encounter that proved to be the second-longest match of the day, behind the 81-minute long women’s doubles clash between Indonesians Greysia Polii and Apriyani Rahayu, and Danes Kamilla Rytter-Juhl and Christinna Pedersen. 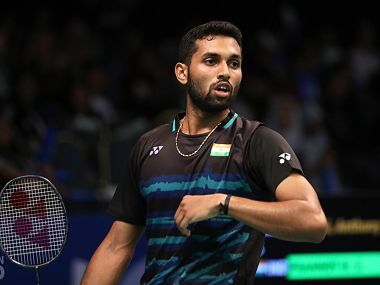 Actually, the 26-year-old Malaysian, who came through the qualifying rounds to knock out two Indians, No 2 seed Kidambi Srikanth and Sameer Verma, on his way to the semi-final, had himself to blame for his narrow reverse. He had painstakingly built up a 16-12 lead in the decider with some resolute defending against the 21-year-old Chinese player, who was runner-up in last year’s All England Superseries Premier, and is being touted as the logical successor to Chen Long. At this stage, Zulkarnain, with the scent of victory in his nostrils, seemed to find it hard to believe that he was on the threshold of the India Open final. He lapsed into nervous error, allowing Shi to catch up at 16-all in a trice, and hang on for dear life, to breast the tape. Despite the Malaysian’s acrobatic defending, the Chinese youngster relied on all-out smashing in the closing reaches of the match, and the aggression paid rich dividends. It was, however, curtains for the other Chinese player in the men’s singles semi-finals, Qiao Bin. The 25-year-old Qiao, ranked 35th in the world, lost to the No 3 seed from Chinese Taipei, Chou Tien Chen, by a 23-21, 21-16 scoreline. Qiao had actually held a 2-1 lead in career meetings over the Taiwanese ace, three years his senior; and had beaten him on the two most recent occasions that they had clashed, in 2016. This time, Chou saved two game-points in the crucial first game, to take it over the extra points, and then made up deficits of 5-10 and 8-12 in the second game, to catch up at 12-all, and then step on the accelerator from 15-all. The final between the third and fourth seeds of this $350,000 prize money event will mark the first time that Shi and Chou will be clashing; and it promises to be a close, absorbing encounter between bubbling youth and rich experience.